AMHERST, Mass. 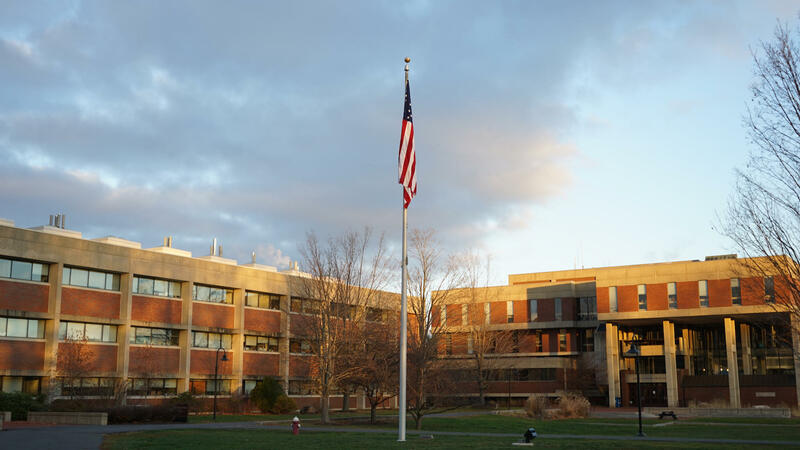 -- The Massachusetts college that drew nationwide criticism when it stopped flying the U.S. flag on campus following the presidential election says Old Glory is back up. Hampshire College in Amherst returned the flag to full staff on Friday. The flag was lowered to half-staff after the Nov. 8 presidential election. The flag was found burned on Veterans Day and the college decided to take down all campus flags on Nov. 18. Clarifying the statement, Hampshire College President Jonathan Lash told CBS Boston he knew it was a controversial decision to remove the flag, but he wanted to create a dialogue among those with differing opinions about the symbol. “There were a range of views on campus, including people whose experience growing up have made the flag a symbol of fear, which was strengthened by the toxic language during the campaign, and people for whom the flag is the symbol of all that’s best throughout the country,” Lash said. He said the trouble started with a gesture meant to help provoke “meaningful and respectful dialogue” on campus – a stance he outlined in a post on the college’s Facebook page. In that post, he said the Board of Trustees decided to fly the flag at half-staff due to the “environment of escalating hate-based violence” in the wake of the election. Lash said the gesture was also meant to be an “expression of grief” over deaths around the world, including those of U.S. service members. But, the move didn’t work as planned, instead drawing widespread condemnation and a protest by veterans groups and their supporters outside campus. On Friday, Lash said in a statement that the flag has now been raised to full staff after a two-weeks of discussion about what the flag means to the Hampshire community. “Hampshire staff and faculty have led facilitated discussions, I have held multiple focus group sessions, and all of our students, faculty, and staff have been invited to contribute their opinions, questions, and perspectives about the U.S. flag. This is what free speech looks like,” Lash said. ”We raise the flag now as a symbol of that freedom, and in hopes for justice and fairness for all,” he added. Many on social media praised the college’s actions. Others, however, continued to criticize last month’s decision to lower the flag.